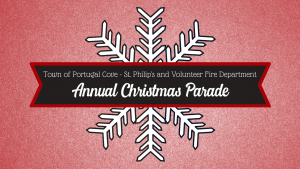 Here in the Town of Portugal Cove-St. Philip’s, we are so excited for all the fun of the Christmas season! 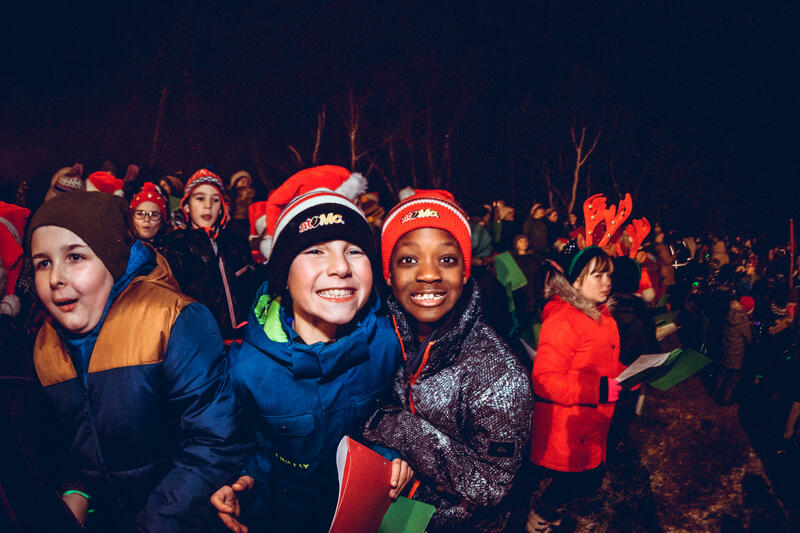 We hope that you and your family will come out to celebrate at one of our many exciting events planned throughout the months of November and December. Create your own traditional Newfoundland Ugly Stick. Perfect to bring along with you to the Annual Christmas Parade! Just $10.00 per participant, register through eServices. Registration opens on eServices on November 13th for PCSP residents. Come by Brookside Intermediate for a continental breakfast with fruit, yogurt, pancakes, cereal, and much more. Enjoy a special Christmas visit from the big man himself, Mr. Claus! If space allows, non-residents can register beginning November 19th. 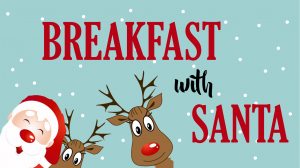 Children under 1 are free, but must be registered through Nicole Clark at 895-5677. This year the parade will run from the Holy Rosary Parish to the Royal Canadian Legion. It will begin at 2:00pm. Please bring along a non-perishable food item for the local food bank and don’t forget your letter for Santa! Join the Mayor, Council and staff as they turn on the Town’s Christmas Tree for the holiday season starting at 6:30pm. Take in some festive Christmas songs, followed by our “dancing tree”, brilliant fireworks show and delicious hot chocolate. Remember to dress for the weather as this is an outdoor event. 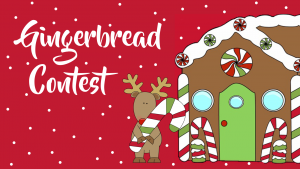 Showcase your delicious construction talents by entering the Annual Gingerbread Decorating Contest. Be as creative as you want but you must use everything provided in the kit. You can add on anything at all, no limits! Bring your completed creation to the Recreation Centre before 6:00pm . Judges will be on hand immediately following the Tree Lighting. 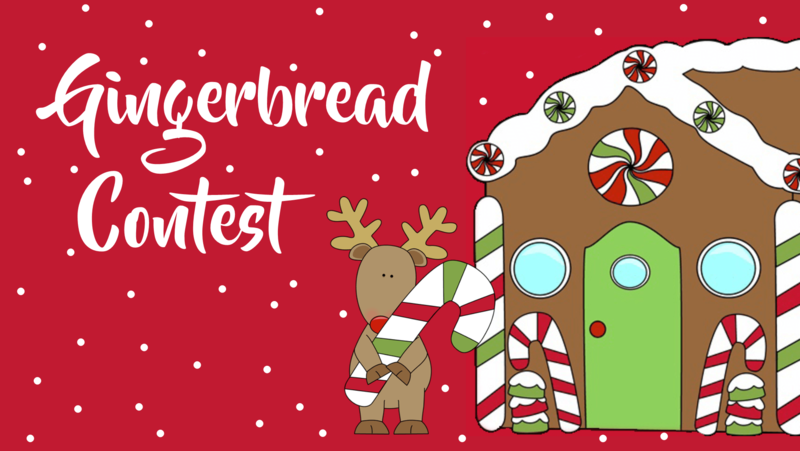 There are some terrific prizes to be won! Kits are only $20, peanut free and will be available for pick up Monday November 26th. Register through eServices. 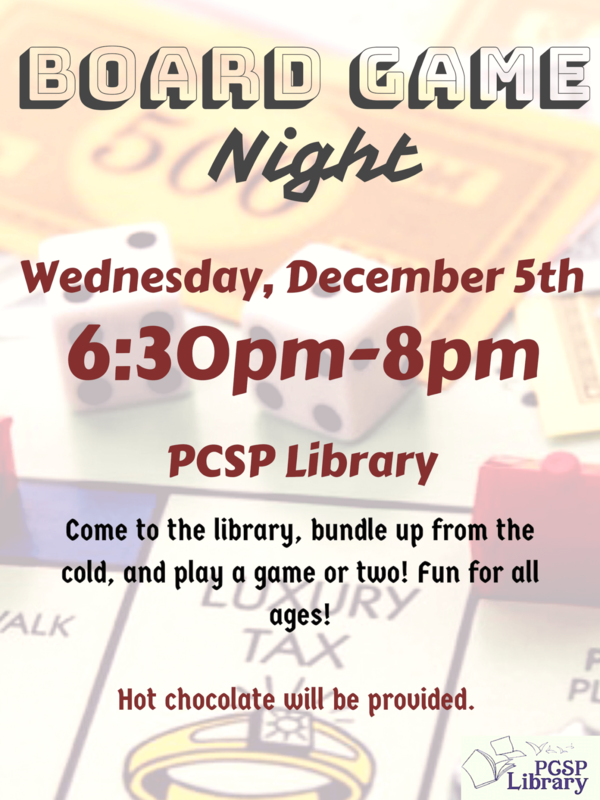 Join us on Wednesday, December 5th from 6:30pm – 8:00pm in the Portugal Cove – St. Philip’s Library for Board Game Night. Hot chocolate will be provided for all participants at this all ages event. If you’re interested in learning more, please contact our Librarian, Kailey, at [email protected] or 895-5655. 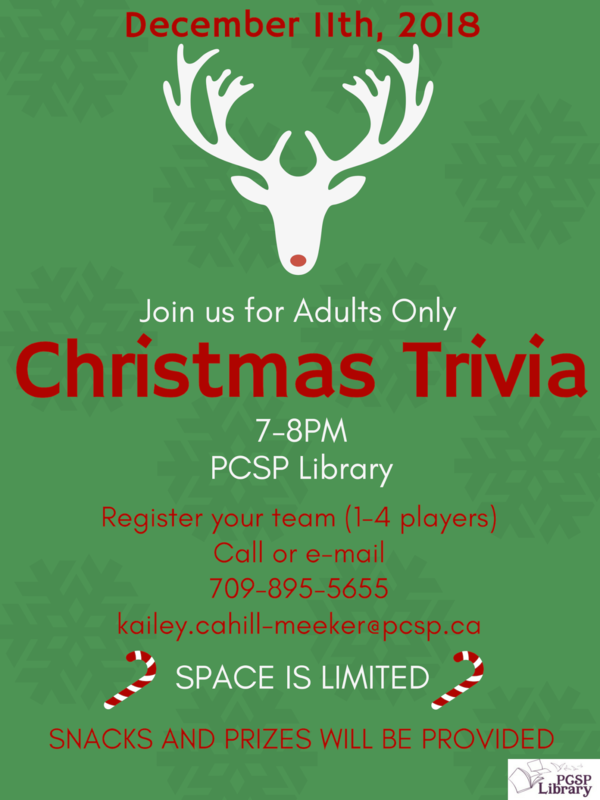 Join us on Tuesday, December 11th from 7pm-8pm for Christmas Trivia at the PCSP Library. 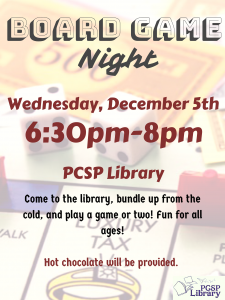 Snacks and prizes will be provided! This event is suitable for adults only. The cost of admission is included in your PCSP Library Membership, which is just $5.00 per year. If you’re interested in learning more or registering for this event, please contact our Librarian, Kailey, at [email protected] or 895-5655. 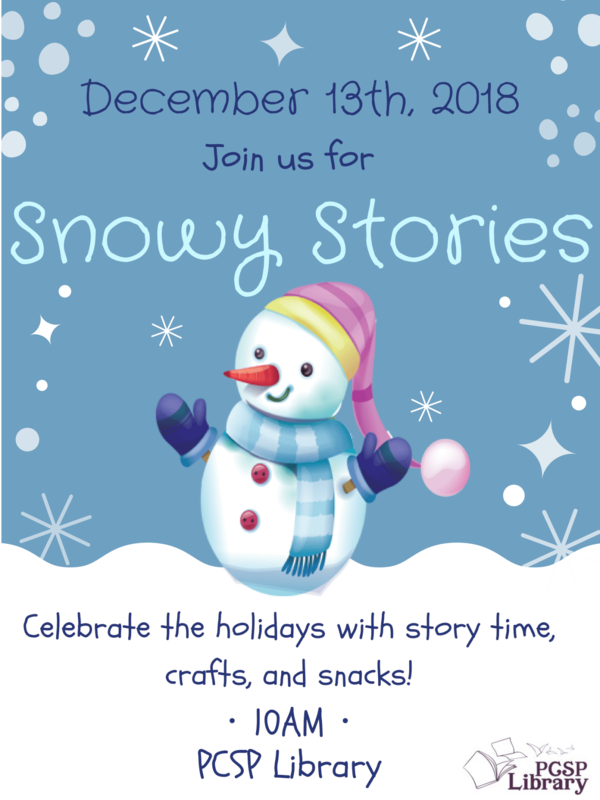 Join us on Thursday, December 13th at 10am for Snowy Stories at the PCSP Library. 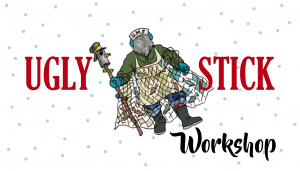 Snowy Stories is a special holiday themed children’s event, with story time, crafts and snacks for the kids. This event is a special edition of our regular Thursday morning Yarns for Youngins session. If you’re interested in learning more please contact our Librarian, Kailey, at [email protected] or 895-5655. 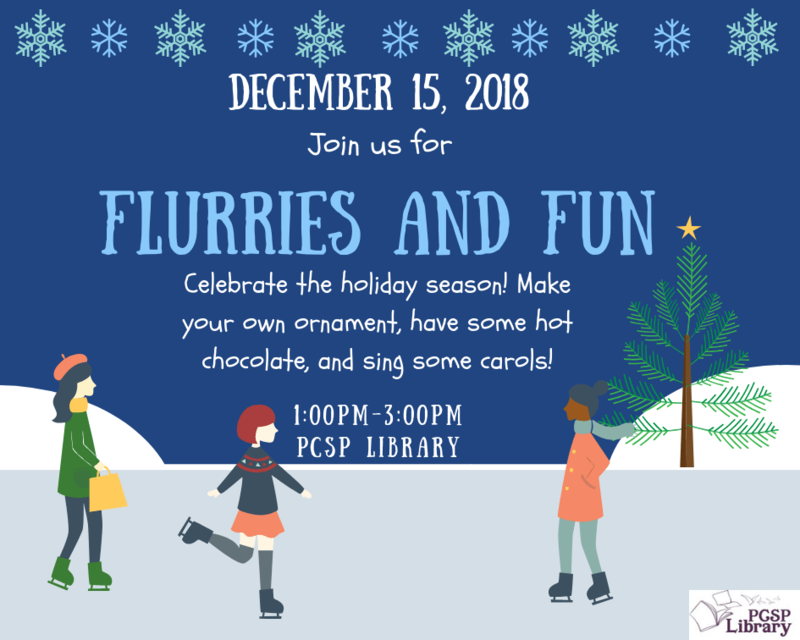 The PCSP Library presents Flurries and Fun! 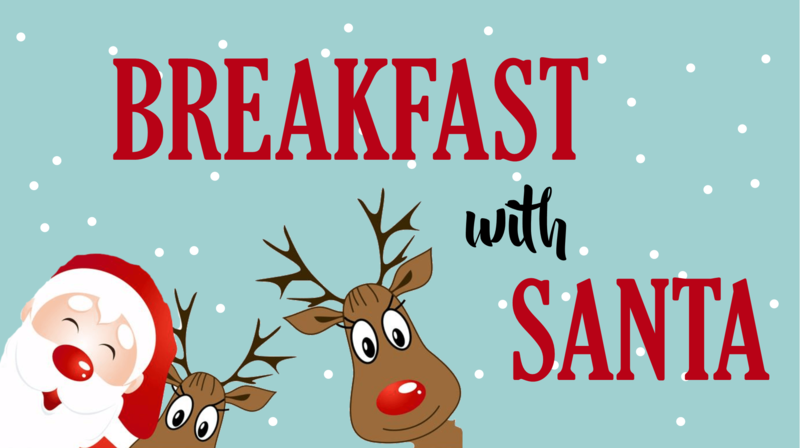 Make your own ornament, have hot chocolate, and sing along to some Christmas carols. Admission is free for those with a PCSP Library Membership, those who do not yet have a membership can sign up for one for only $5.00 per person, per year. 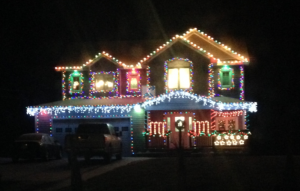 Is your home the best dressed this holiday season? Break out your Christmas decorating skills and your festive spirit, challenge your neighbours to see who can outdo who with their creativity. The Recreation Team will be travelling throughout the community all week long for judging. No pre-registration is required, however if you don’t want to be missed please call Nicole Clark at 895-5677. Make sure your lights are on by 5:30pm!